The Christmas season is upon us and that means one thing. It’s time for nougat. 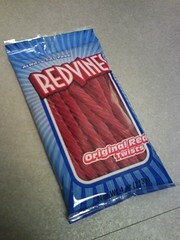 In recent years, I’ve become enamored with this strange confection. There are several reasons why. First, I just like the sound of the word. It’s subtle, with a sense of whimsy and humor associated with it. In fact, I’ve heard David Letterman claim nougat is one of the top-ten funniest words in the English language. After banana and monkey, of course. Next, I find it interesting how many people have no clue what nougat is. When you ask someone “Would you like some nougat?” and all you get back is a confused look, you know there’s an information gap that needs filling. I’ve tried to fill that gap with my website “What Is Nougat?“. Finally, for those that are familiar with nougat, most think it’s the filling inside a Snickers candy bar. Although I do enjoy Snickers occasionally for it’s claimed nougatocity, it’s chewy peanut filling isn’t really nougat. At least not in the traditional sense. When you experience REAL nougat, you’ll understand why. It’s just good. It’s for these reasons I’ve made it one of my missions in life to spread the nougat message. In fact, you might even call me an Evangelizing Nougatologist. 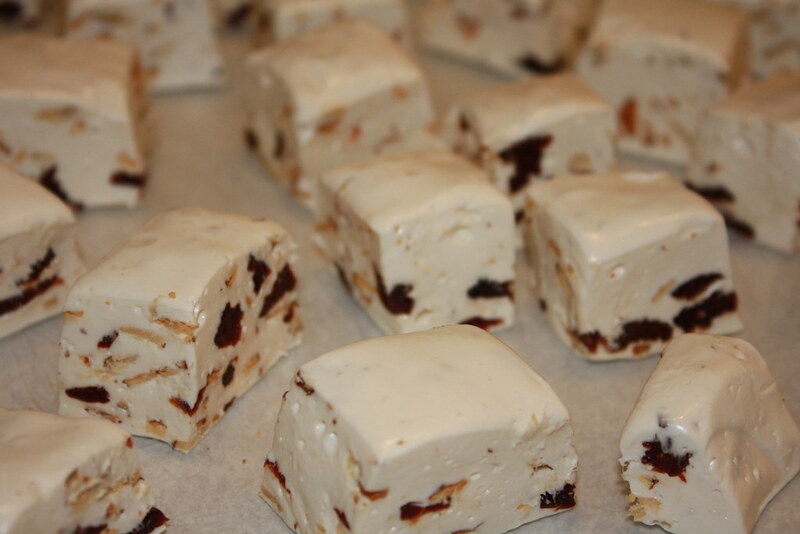 In this Christmas season’s spirit of sharing and bringing joy to others, I share my recent batch of Toasted Almond and Dried Cherry Nougat. The recipe I used (courtesy of Emeril Lagasse) follows. If you’ve ever made pizza at home, you may have found that, for some reason, something is lacking. For the longest time I did as well. About a year ago, I came across Craig Priebe’s site on How to Grill Pizza. Talk about a pizza revelation. Craig shares his techniques and recipes for creating an awesome grilled pizzed from scratch. I’ve been using his homemade dough and tomato basil pizza sauce recipes for months now. With Craig’s recipes, a pizza stone and my old gas grill, I’ve been putting together some pretty tasty pizzas. It only takes a bit of effort and you will be amazed at how good this stuff tastes. Plus it’s fresh and homemade. How can you beat that? Last week I picked up a copy of Mother Earth News (it’s a magazine about sustainable, self-reliant living). In the Country Lore section of the October/November 2008 issue, an article on Crusty Frying-pan Pizza caught my eye. In the article they describe how to make a homemade pizza using a cast-iron pan in the oven. Well, I have a cast-iron Lodge frying pan. Why not see if the results I get from the frying pan match what I was getting from the grill? I figured I would continue to use Craig Priebe’s dough and sauce recipes instead of the pizza dough recipe in the magazine. I’m hooked on the whole wheat flour/corn meal dough, so why change?